“The Best New Graphic Design Books of 2017,” Format Magazine. “Required Reading: AIGA’s Design Educators Community list their must-have books for design inspiration for 2017,” Design Observer. 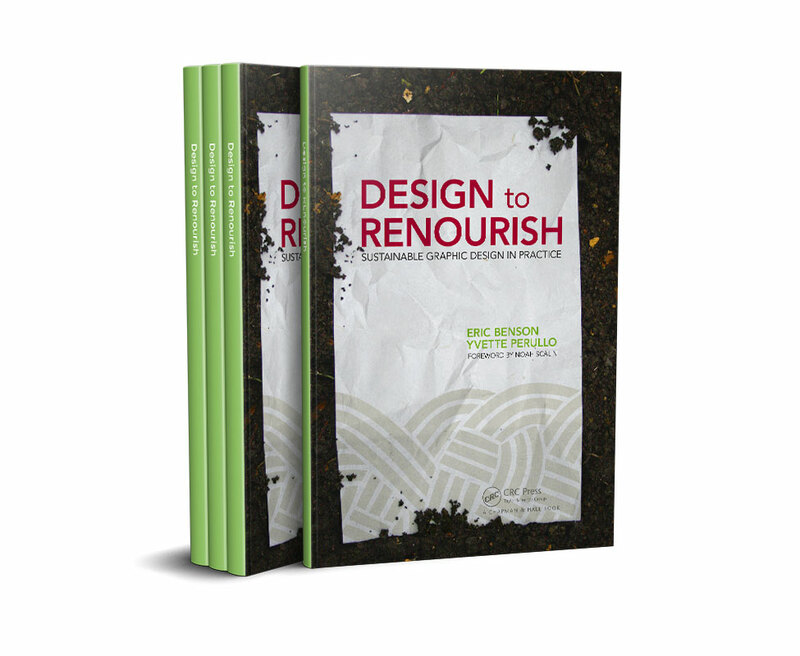 Design to Renourish is a book for graphic designers that helps to integrate sustainability into their workflow through a design process called systems thinking. This process asks the graphic designer to approach a design problem by being more informed and aware of and influenced by the impacts that material and vendor choices have on one another, the planet, and consequently on us. The book not only walks the reader through how to design with nature as a model, but also offers solutions to the real life challenges of working with the client to create sustainable work. Through ten case studies that feature interviews with international design teams who embrace a sustainable systems methodology, the reader will gain valuable insights on how to design to renourish for positive change. Published October 2016 by CRC Press. All rights reserved. For a moment, try to remember your first semester in college. (It wasn’t that long ago, was it?) Think about the foundational art and design courses you took that term and the vocabulary your instructor covered in the first few weeks to help you better understand the worlds of art and design. Most likely you were introduced to the German word Gestalt meaning “the whole is more than the sum of its parts” or a “unified whole.” Understanding the concept of Gestalt is a good starting point to explore how to think in systems. When we discuss “systems” in this book, we are not necessarily referring to what you may have already under-stood as systems like letterforms in an alphabet or the components of a branding campaign, but rather to the scientific methodology used in natural sciences like biology and ecology. Environmental pioneer John Muir describes this concept most clearly: “When we try to pick out anything by itself we find that it is bound fast by a thousand invisible cords that cannot be broken, to everything in the universe.”1 In other words, everything is connected on our planet and our natural systems depend on balance. So to think in systems, when it comes to our profession, it means we approach a design problem by being informed, aware of, and influenced by the impacts that our material and vendor choices have on one another, the planet, and consequently on ourselves.